My son, Kellan, eagerly agreed to “write” (he talked, I scribed) a blog post sharing his thoughts on homeschooling. I allowed him to share freely without a lot of prompting and this is what he wanted to share with all of you. 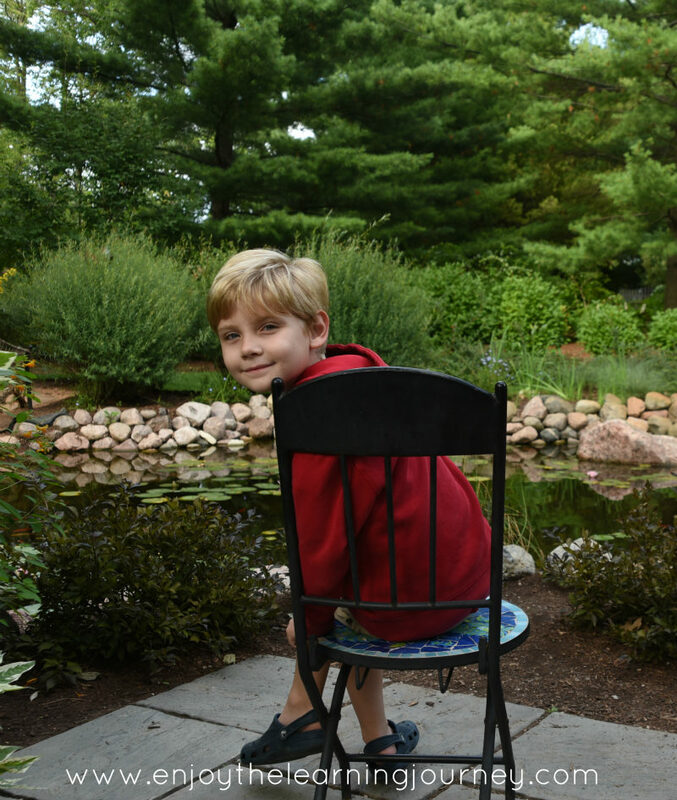 Hi, my name is Kellan and I’m seven, almost eight-years-old. This is my fourth year homeschooling and I’m going to talk about the good and bad about homeschooling (but there aren’t many bad things). You can make your school work fun. If you or your child does not like what you are doing or it is too hard or too easy then you can change programs that you are using. That makes you both happier. You can make up your own programs for your child. You can take as much time as you need to get everything done so you don’t feel rushed or your child doesn’t feel rushed. I like homeschooling because you don’t have to pack up food and you can have yummy fresh food. And because you can have all the food you want or need for lunch. I’d recommend a good healthy lunch so you can get healthier while you are homeschooling. And don’t eat a junk lunch….but you can if you want! You can have recess whenever you want. For your free time you can do things you like, such as drawing comics. That’s what I like to do but you can choose what you like to do. The only bad part about homeschooling is that if you don’t complete something one day then you have to complete it the next day. But luckily your teacher won’t get you in trouble! I’d recommend Math-U-See for your math because I think it is a very good program. I’ve been using it for four school years, since I was 4-years-old, and now I am almost eight. And I’m learning multiplication now in second grade. I’d recommend All About Spelling for spelling because it’s a good curriculum. I like using the board and tiles to spell words. I’d also recommend watching learning shows sometimes during the school day, such as The Magic School Bus , Where on Earth is Carmen Sandiego? , What’s In The Bible? , Reading Rainbow and Bill Nye the Science Guy . You can save non-learning shows and movies for weekends. If you have any extra time in the school day you can build your own creations using Legos. It’s good and fun and you can make whatever you want. Just find the pieces you need and build! Also, if you have any extra time and you don’t want to build with Legos you can play with something else you like to play with. I like drawing pictures and illustrating. For outside activities, if it’s winter I like building snowmen. If it’s fall, I like jumping in the leaves. If it’s spring, I like to play on the playset. I like doing other things outside too. It’s fun to be outside. On Tuesday and Thursday evenings I do karate and I’ve been training for approximately one year. I hope you’ve learned a lot of good things about homeschooling. If you have any questions or comments for Kellan, please leave them in the comments section below. He said he would be glad to answer any questions you have. 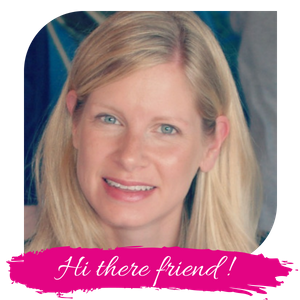 This post is part of the iHomeschool Network Helping Mom Blog for the Day link up. 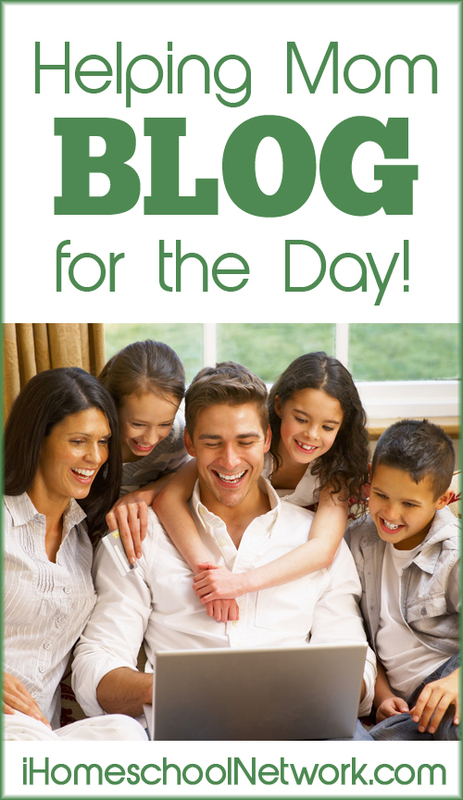 Be sure to check out more family member posts from other homeschool bloggers. Great post, Kellan! I love your curriculum suggestions. We use Math U See, too. ? Great post Kellan. 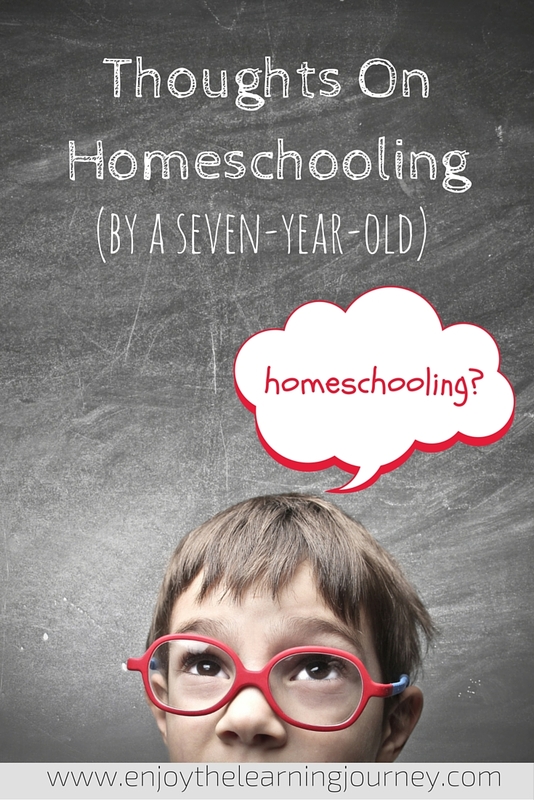 It seems as if homeschooling works really well for you. Perhaps one day you will have your own blog.